May is the traditional beginning of barbecue season although, many of us barbecue all year long through cold, wind and rain. Regardless of whether you barbecue all year long or you follow the traditional seasons of barbecue, smoked burgers and smoked hotdogs are the way to go. Doing burgers and hotdogs in the smoker allows you to do all of them at once and they all get done in about the same time. Everyone who has eaten smoked burgers or smoked hotdogs at my house has exclaimed that they are the best they have ever had. You and your friends and family will certainly agree. 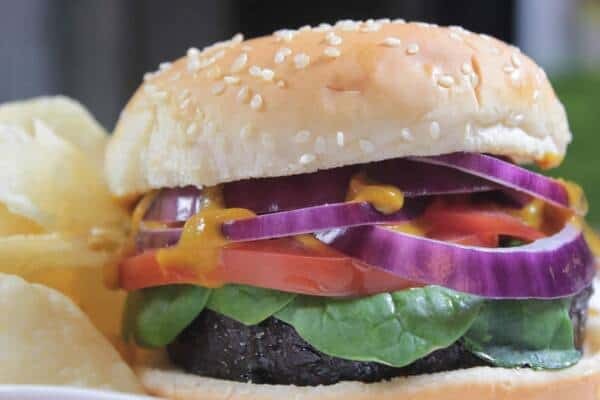 Just to show you how truly versatile my rub recipe and barbecue sauce recipe is, try it on burgers and hotdogs with a little worcestershire brushed on to give it a wet surface to stick to. It’ll be so good, you might have to stop folks from eating them without bread or condiments! 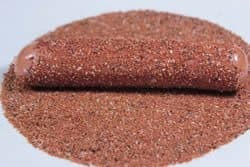 You can smoke the burger patties plain if you want to but I love to ramp up the flavor using my rub. 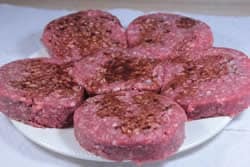 Make burger patties about ½ inch thick and 4-5 inches in diameter. It is best to make them flat on top and bottom or slightly concave instead of fat. 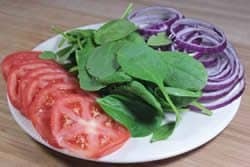 Lay the burger patties on a plate or flat surface. Coat them with a little Worcestershire sauce to wet the surface for the rub. 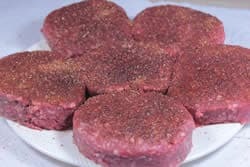 Sprinkle Jeff's rub (purchase recipes here) onto the top of the burgers and let them sit for a few minutes. Flip the burgers over once the rub gets that “wet” look and repeat the Worcestershire/rub on the other side. 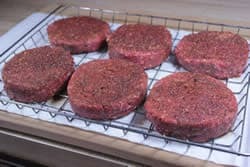 Once finished, place the patties on a Bradley rack or pan to make it easy to transport them out to the smoker. You can use almost any smoker to smoke burgers but I like to use the Digital 4-rack Bradley smoker for these. It is quick and easy to get going and I can easily fit 24 burgers using the normal 4 rack system. If you want to order 4 extra racks, you can put the 4 extra racks (top side down) on top of the 4 standard racks and get 24 more burgers going for a total of 48 burgers at once. Get whatever smoker you plan to use, preheated to 225°F (indirect heat) and once it is clicking along and holding steady, you are ready to go. Place the burgers directly on the grate or lay the Bradley racks directly on the grate. Let them smoke at 225°F for about 60-90 minutes. It may take a little longer if they are extra thick. 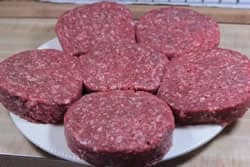 If you use ground sirloin or some other higher grade of beef you may want to watch the temperature and only cook them to medium-rare but I must tell you that the USDA recommends 160°F on all ground beef for proper food safety. 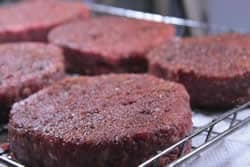 The burgers are done when they cooked to 160°F in the center using a digital probe meat thermometer or to your desired level of doneness. I usually watch for the juices to start puddling on the top to give me an indicator of when they are almost done. 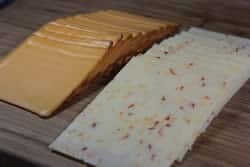 If you want to add some cheese, do this in the last 10-15 minutes or so. 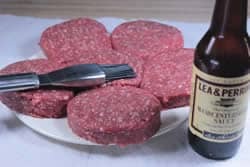 Note: Prepare the tomato, lettuce and onion and get the condiments ready while the burgers are smoking. 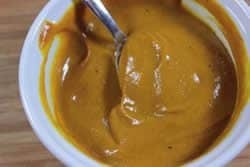 The yellow sauce: I mix regular yellow mustard with my very own barbecue sauce (purchase recipe here) to make an excellent burger sauce (50/50). 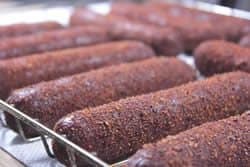 Many hotdogs you purchase in the store have smoke flavoring added but there is nothing as good as smoked hotdogs made smoky by spending some quality time in your smoker. 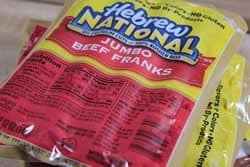 I recommend Hebrew National or Nathan's hotdogs if you really want the good ones. There are other brands that are also good so use what you like. 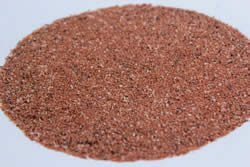 Pour several tablespoons of my rub onto a plate and make sure it is spread out well. 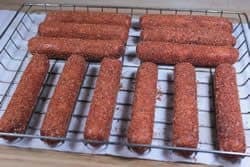 Roll the hotdogs in the rub making sure to not miss the ends. Lay the rubbed hotdogs on a Bradley rack, bowl or sheet pan so they'll be easy to carry out to the smoker. Whether you are using gas, electric, charcoal or wood, get your smoker lit, plugged in or turned on and preheated to 225°F (indirect heat). If your smoker has a water pan, fill it up and get your wood of choice ready for a little smoking action. Once the smoker is running at 225°F and holding steady, you are good to go. 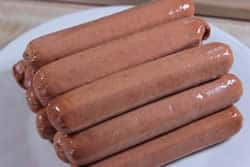 Place the hotdogs right on the grate and let them smoke away for 60-90 minutes. When you think they might be done, grab one and take a big bite. If it's warm enough and smoky enough, then they are done. 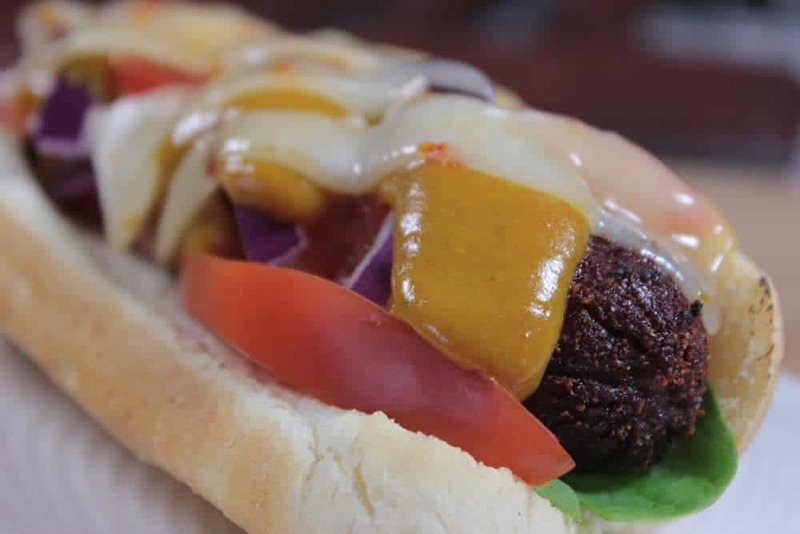 Eat a couple just like they are (for the full effect of the smoky, delicious magic that you just performed on a lowly hotdog) then put one on a bun with all of your favorite condiments, veggies, etc. and “go to town”. Let everyone else make their own “dog”. 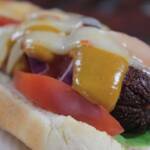 If you haven't seen my spiral sliced hotdog recipe, you might want to try it on for size as well. 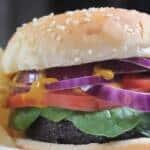 In celebration of the beginning of warm weather and lots of wonderful parties, holidays and warm evenings and weekends spent cooking out, I thought it would only be fitting to show you how to do burgers on the smoker. Make patties that are about ½ inch thick and 4 to 5 inches in diameter. Sprinkle rub on the top of the burger patties. Wait about 10 minutes for the "wet" look then flip them over and repeat. Smoke cook for 60-90 minutes applying hickory or other wood smoke the entire time. The burgers are finished when they reach 160 °F in the center or your desired level of doneness. If you smoke the burgers for 60-90 minutes, aren’t they going to come out like hockey pucks? The ones pictured here look very…firm. I can see keeping them over heat for 6-8 minutes, tops. If you are grilling and/or using direct heat, yes, you are correct. 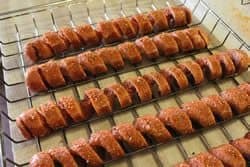 At low temperatures of 225-240°F, with indirect heat, they turn out perfect and delicious;-) As with all things smoked, monitor the temperature and when the correct temperature is reached (160°F in this case), they are done regardless of the time. 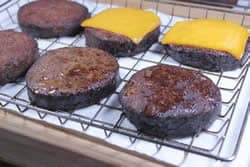 I would just like to add that in my experience, it is easy to dry out a beef patty in a smoker at low temps. I like to run my offset smoker at a higher heat (350-450 F) so that the burgers cook faster on the outside to preserve inner juices, but still get that nice smoky flavor. Daniel, I use a burger press that I bought from Walmart. Cheap and works great. It would be with all the kithen utensils.